Team HRC is heading to the north of Switzerland to take part in the sixteenth Grand Prix of 2018, the first of three back-to-back events that will keep the MXGP paddock alive and busy until early September. 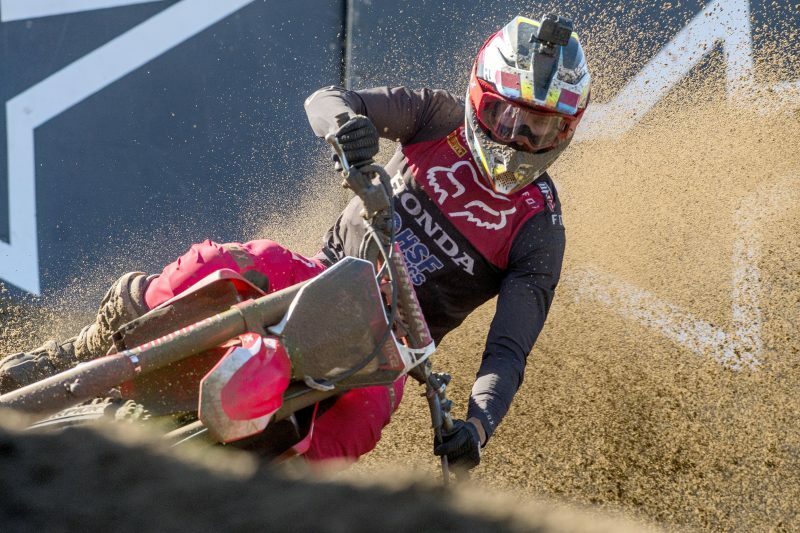 The standard bearers of the Milan-based official Honda effort in the motocross championship are looking forward to the challenge, with a mix of fond memories and curiosity for what could be in store. The 1560m-long, hard-pack Frauenfeld-Gachnang motocross track made its first appearance on the MXGP calendar in 2016, and it was the debut edition of the MXGP of Switzerland that was the most successful one for Tim Gajser and Calvin Vlaanderen: Gajser was second overall in the 450cc class aboard his Honda CRF450RW machine – with a win in the second moto – while Vlaanderen finished within the top-five on different machinery. Currently fourth and fifth in the championship standings, respectively, Tim and Calvin are looking forward to entering the last leg of the season strongly in order to move closer to the top-three whilst aiming at more success. Todd Waters will be racing at the Swiss track for the first time, but with a dozen days away from racing to train in perfect health, the Australian rider is keen to show what he is capable of after what was a brutal weekend in Lommel. Motocross action will begin in Frauenfeld-Gachnang on Saturday with the usual free practice sessions at 11:30 (MX2) and 12:00 (MXGP) local time (GMT +2). I’m happy to return to action after a weekend away from racing. I managed to train hard and refocus after Lommel, so now I’m looking forward to racing on hard-pack again. Frauenfeld is a track that I really like: last year wasn’t so great but in 2016 we were second overall, so I’m confident of my chances to do well there. I will do my best as usual and we’ll see where we end up, but the goal to is to be on the box! Looking forward to the MXGP of Switzerland. It’s the first of three back-to-back rounds so it will be important to do well in order to keep the momentum going through August and get to the last two rounds in the best possible position. We scored some important points in Belgium, even if it wasn’t our best weekend, so that motivates me to return to the type of results I enjoyed before Lommel. I really like the track, I feel good and I’ve done well here before, so I’m ready! Frauenfeld is a new track for me so I’m curious to see what it’ll be like. I have been training hard since my return from Lommel and I feel like I’m getting a bit of the confidence in my skills back. It’ll be important to see where we’re at once we get there. The team has done an amazing job and supported me the best possible way, so it’s up to me to make a difference now! Frauenfeld has been a good track for us in the first edition of the MXGP of Switzerland, and we hope it will be the same way this time. Tim won a moto and was second overall in 2016, while Calvin was in the top-five the same year and we feel that, with the way he has been riding his Honda CRF250RW machine lately, he can be a strong contender for honours. It will be a first for Todd there, but he likes hard-pack tracks and he’s been training hard, so we’re confident he’ll improve his performance and get closer to the top-ten.